It’s one of those pieces of equipment that I feel are underrated. They may not be a lot of fun to carry around, some are heavy or bulky. People generally think about landscapes and long exposures when considering a tripod, but here’s a list of five reasons why no photography kit should lack this item. By far, the most obvious reason. When shooting in low light you have two options. You either boost your ISO to 6400 or more , and despite great performance from today’s cameras, you will be far from optimal quality. Or, you take your time and setup the camera on a tripod, and use long exposures at minimum ISO. Not only will you be getting the best quality your camera has to offer, but you’ll also be able to achieve stunning motion blur in landscapes with moving waves or cityscapes with busy traffic. Quality equipment usually comes at the cost of weight. A professional zoom lens like a 70-200mm f 2.8 or a 300mm 2.8 mounted on a camera with a grip or a pro body could weigh up to 3-4 kg. It might not seem like a lot, especially if you hit the gym every now and then , but trust me, shooting with one of these combos, handheld for a whole, day will make your arms hurt and ruin your shooting experience. You could either go for a tripod or a monopod. The later is used especially by sports photographers as they are constantly moving their cameras around. Both are good options, but for work that doesn’t require the speed of a sporting event, I’d go for a tripod. Since most of today’s camera come with HD or Full HD movie recording capabilities, it would be a shame not to use this feature, at least for capturing family events or vacations. A tripod equipped with a video head can offer you video caption previously unavailable to home users. Having a camera mounted on a tripod means that you can focus more on the subject and the light. The process is being slowed down and this helps you put more thought into the how the final image should look. Some tripods, like the Vanguard Alta Pro 263AT offer a lot of camera angle choices and you can get your camera into difficult places. Features like the multi angle center column allow you to keep the mobility you have with a handheld camera. Sometimes you have to get really close and even the slightest movement can make the difference between a good image and a bad one. Using a tripod eliminates unwanted movement. 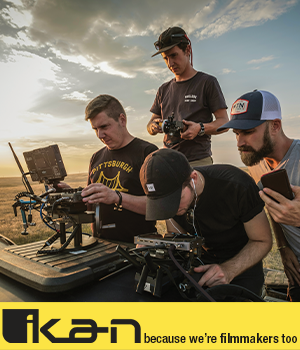 Luckily, advanced, lightweight materials have been in use in the photo equipment industry for some time now.. That means that it is now a lot easier to take a tripod to a shoot. Carbon fiber, besides being very light, is a very strong material and tripods like the Sirui N2204 can support heavy cameras and lenses without themselves being a heavy weight. There are also highly recommended options for light travel, like the T-025. There are , of course, more reasons why you should consider getting a tripod if you don’t already own one. 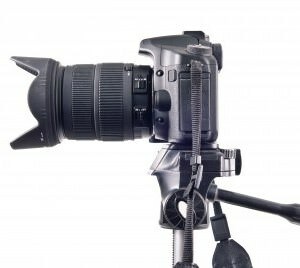 These are top on my list, but I’m sure there are a lot more situations where tripods come in handy.